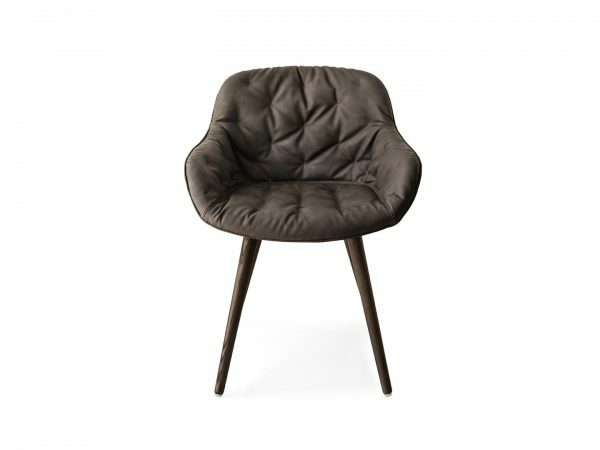 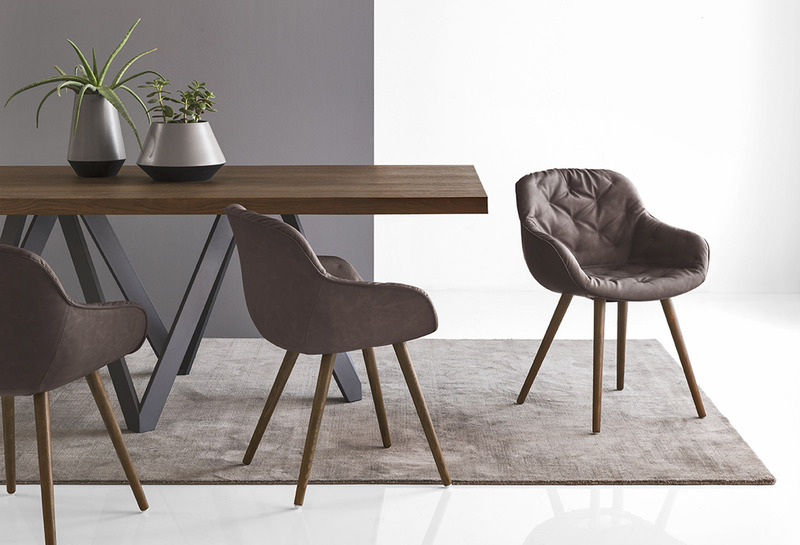 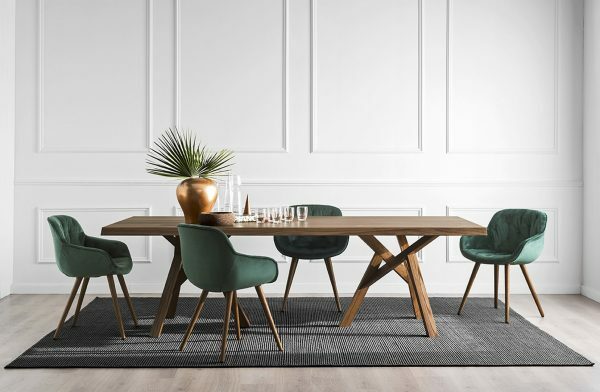 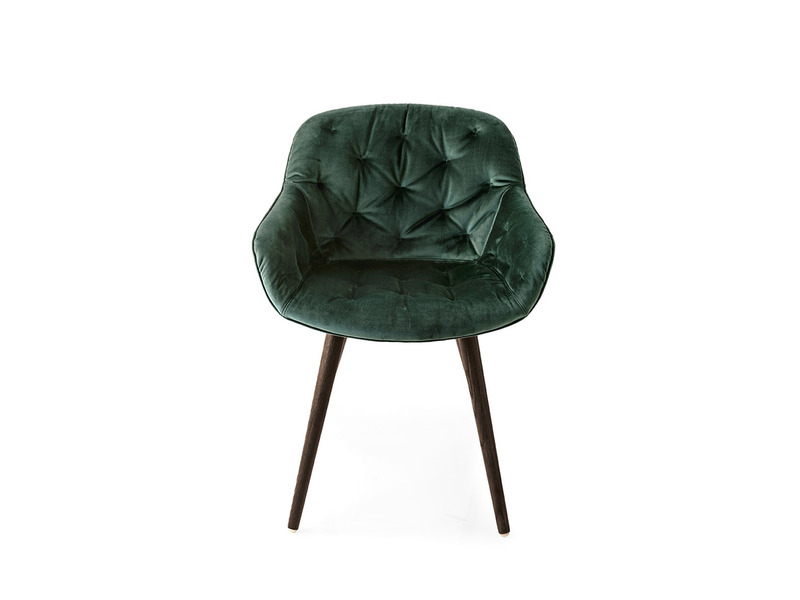 Featuring a wooden base available in 8 finishes and a shell covered in a novel soft-effect irregular quilted details in a choice of 9 fabrics and leathers. 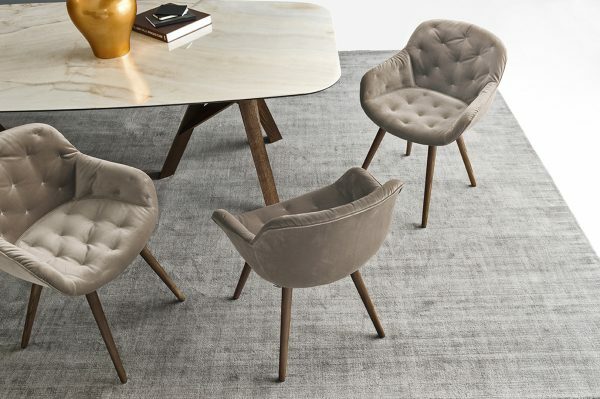 Designed for those who love retro lines with a hint of innovation. Choose the one that’s perfect for you. 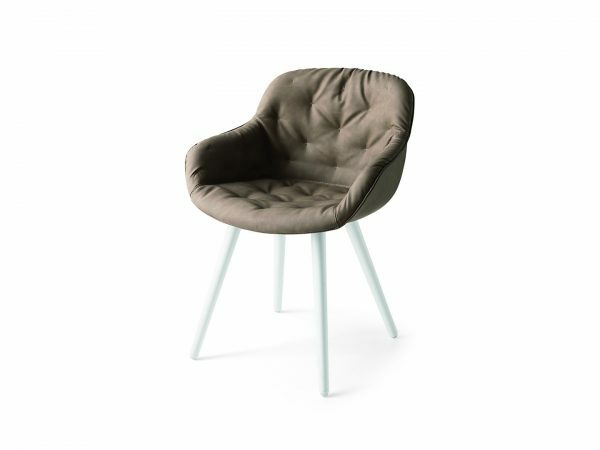 *Also available with a metal swivel base.